It was another nutty week for us, but I managed to squeeze in some good workouts. Since the baby seems to love yoga and it feels amazing to stretch my expanding body, I’ve been more drawn to yoga classes lately. I have definitely expanded through my belly, but am super thankful my backside isn’t widening. I’m also not swollen/showing signs of water retention. All great things. Saturday morning, I treated myself to some much needed spa time. I enjoyed a body scrub, massage, and facial. Pure bliss! The baby was extremely active throughout the treatments; I wasn’t surprised since it loves everything else in my life that calms me (pooch, yoga, church). Saturday evening, we went for a hospital tour. Since I’m new to the Valley and pretty unaware of the hospitals, I was thankful to learn that our hospital has a NICU and is Level 3 trauma. 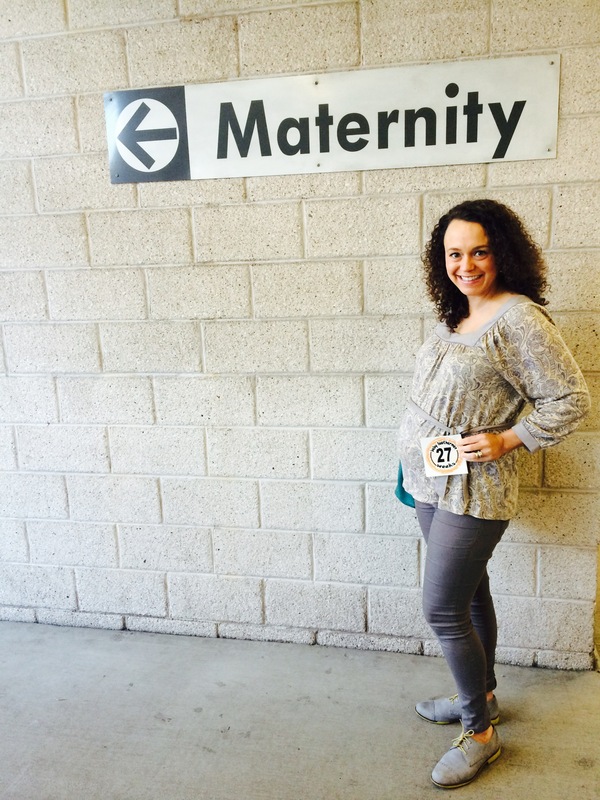 We also know some of the nurses in labor and delivery, which makes our lives so much easier! 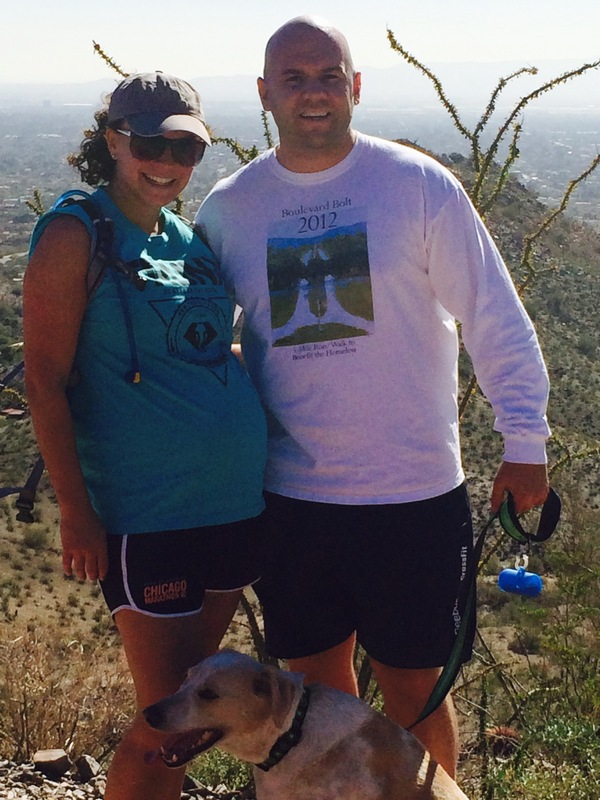 Jan. 26 – Hike with the hubs and pooch. Went 2.25 miles on one of our favorite trails. Definitely worked up a good sweat since it was a warm day. strength/skill: deadlift 5×10 Took our time and worked up to 145#. Probably should have worked in another 20#s. Food: With the stress I’ve endured, my appetite isn’t as strong (which definitely isn’t keeping me from gaining weight – I promise!). I love eating greek yogurt with granola and still find the greatest satisfaction from comfort foods. I always attempt to make a casserole paleo, if I can figure it out. Drinking lots of water, but still love coffee in the morning. My face is definitely showing signs of dullness and eczema so I’m hoping my increased water consumption will help. Posted on February 5, 2014 by crossfitpregs. 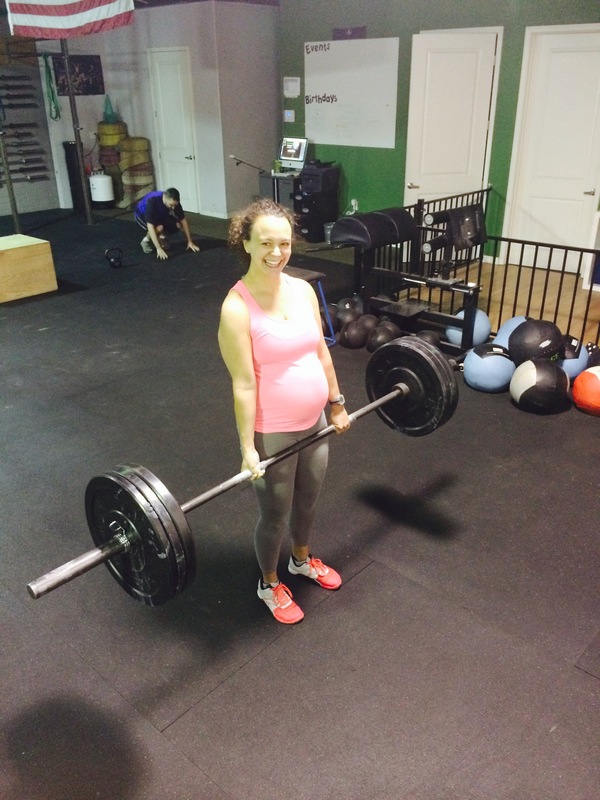 This entry was posted in CrossFit and tagged CrossFit, CrossFit Mom, CrossFitting, dogs and pregnancy, Exercise Pregnancy, Fit Pregnancy, paleo, pregnant, WOD, yoga. Bookmark the permalink. There is no such thing as dullness in your pretty face!!! Looking forward to seeing it tomorrow!